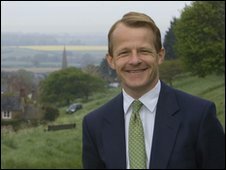 In our occasional series, David Laws, the Liberal Democrat spokesman on schools, reveals the most important things he has learned in his life. Occupation: Liberal Democrat Shadow Schools Secretary; MP for Yeovil, Somerset. After a high-flying career in investment banking, he became the economic adviser to the Liberal Democrats and later the party's director of policy and research. Lives: Chard (Somerset) and London. Unusual fact: The Conservatives tried to poach him. 1. Focus on your own priorities and don't try to do everything. I am strong prioritiser. I think that when you get stretched, doing a whole series of different things, the risk is that you do them all in a fairly average way. More than most people I know, I have a clear view of what I want to achieve over any period of time. I tend to be quite brutal in giving a lower priority and lower time-commitment to things that are not important. I think that delivering what you want to achieve usually requires a complete focus. 2. Do what you enjoy the most as it is what you are likely to be best at. I don't necessarily pretend it always works, but it is a good guide in life that what you find enjoyable is what you are likely to be good at. You can spend a lot of time trying to pursue things that you don't get much pleasure from. I am not saying that is a bad thing in itself, but you probably won't be as good at those things. 3. Don't let your problems get out of perspective. Try not to worry about the small things in life that go wrong. You are only on the planet once. Get the best out of it. I get the best perspective when I am on a holiday, sitting on the top of a hill with thousands of stars twinkling in the night sky, feeling like a small dot in the universe. Then suddenly all the things that you worry about on a daily basis, which are really pretty small and trivial, get put into their correct context as not meaning very much in the big picture or long term. You realise how little time you have on the planet and how important it is to focus on getting the most out of that time, rather than being run down by really quite minor issues which can cause hurt or concern or worry, but are actually not that important. 4. Find time to spend with your friends. It is easy to lose touch with people over the years. All of us in our jobs find there are lots of things to do in work and in private life and it is very easy to lose contact with people you are actually quite friendly with. It is difficult when you are not seeing friends on a regular basis because you are not in school or college or in the same work. It requires some work as well as accident to maintain those relationships. Thee are a few people from Cambridge that I still see on a quite regular basis and a couple that I still see from school but there are others that I would have liked to have stayed in contact with - both from work and school - but for one reason or another that has not happened. 5. Sometimes it is easier to achieve your goals in a roundabout way than by a full-frontal assault. When I was in the City you were taught to be very blunt, straight forward and direct. There was a premium on clarity of thought and expression, whereas sometimes in politics to achieve your goals or to persuade other people, you need to be less direct than you might otherwise want to be. It's probably a characteristic that all politicians and probably a lot of us in life need: that you don't always get your way by confronting people in a very direct way and promoting disagreement, but by winning them over in different ways; by understanding their motivation and the arguments that are going to carry weight with them.